Tag the problem at the source to help avoid accidents. 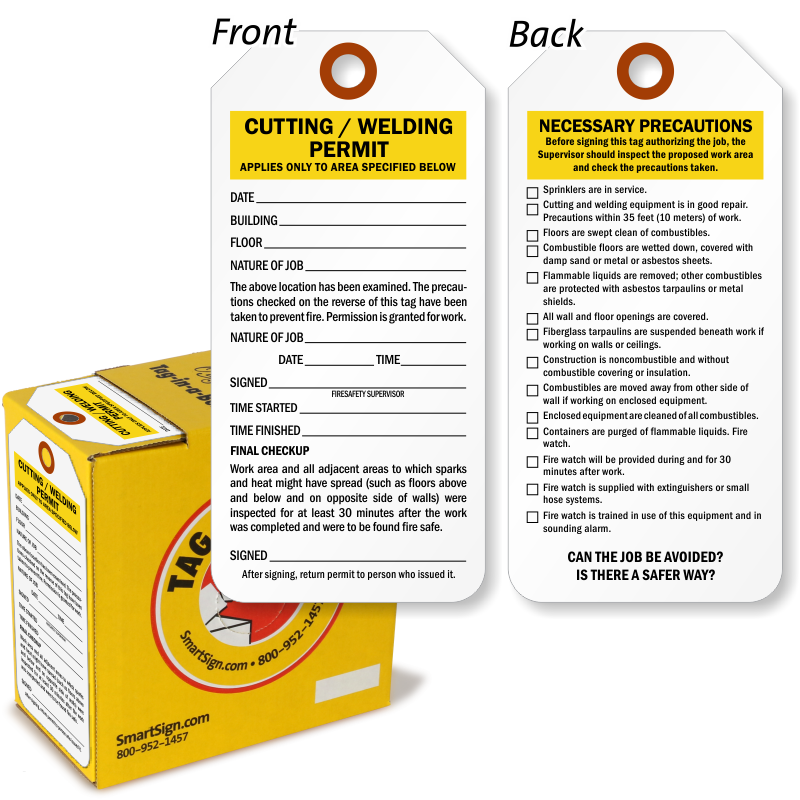 Use the most convenient method for tag dispensing with a writable tag dispenser box for your HOT Work and welding permit identification. • A convenient dispenser box keeps your tags neat and handy. • Plastic is a great value, excellent for smudge-resistant writing and short-term uses. • Easy-pull tags are perforated at each end for an easy pull that won't undo your roll. Save time with this innovative, reusable box design. 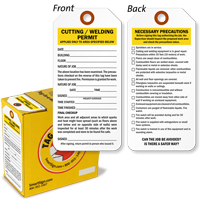 • A reinforced fiber patch makes the tag perfect to attach with heavy machinery. • Plastic tag is 0.010" thick. • Tag is reusable and waterproof. Tags can be used inside or outdoors. 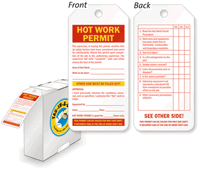 • Lockout tags have perforations between each tag. The tags also have notched corners so that they hang better in tight spots. • Most tags use a reinforcing patch eyelet - for a greater pull strength.